Women are the predominant group of consumers engaging in online shopping in addition to consuming social media, making them a very lucrative target audience. Online shopping has increased exponentially in the past few years due in large part to the ease of use and wide availability of products that no longer require a brick-and-mortar location to sell items. Per the US Census Bureau, e-commerce sales accounted for over $101 billion by the end of Q3 of 2016. Women are the unsung heroes in this regard, being primarily responsible for the success of e-commerce and social media marketing. Many existing studies show that women are a powerful demographic that can at times make all the difference in online shopping habits as well as being marketed to via social media and video content. Women tend to be more active in online shopping than men and are more likely to seek out brands that appeal to them when marketed to correctly. Branding campaigns that are very image-centric tend to get women’s attention more and are most effective when they allow women to easily browse through inventory on the fly during a break at work, relaxing at home, or when they have some downtime during their day. Generation Y, better known as Millennials, range in age from 18-34 and are the most technologically connected generation to date. Women within this age group are much more active in online shopping practices in addition to social media and are a stronger demographic to target through social network advertising. Social media has grown to unprecedented levels regarding how companies can reach out to their customer base, and women have demonstrated that they prefer to see image-centric branding of products they like with an easy means of checking out the item via the brand website. What does this kind of feedback mean for your social media campaigning? Do not ditch your social media strategies, but rather focus them on facilitating the hook for your sales funnel. A well-crafted social post with a high-definition image of your product and a link back to your website is an effective way to reach the women in your audience. Think your product(s) don’t apply or appeal to women? Consider this: in many households, women tend to make many of the shopping decisions, and are willing to do the research into products they want or need, regardless of whether the product is “meant for them” or not. For example, if a lighting fixture goes bad in a woman’s home, she may go online to look for a replacement that has good reviews and fits the specifications that her electrician told her she needed. While light bulbs may not be considered a product that women would traditionally seek out, the woman in this example will still undoubtedly choose a product that fit the habits disclosed above: a light bulb with an HD picture, clear description of the product (including the specifications that she needed), and positive reviews. This same concept can apply to women that procure certain products for her profession, even if the product does not appeal to her personally. Online shopping habits can still apply in a professional environment, so making your campaigns and product pages adept to those habits may also increase your sales. 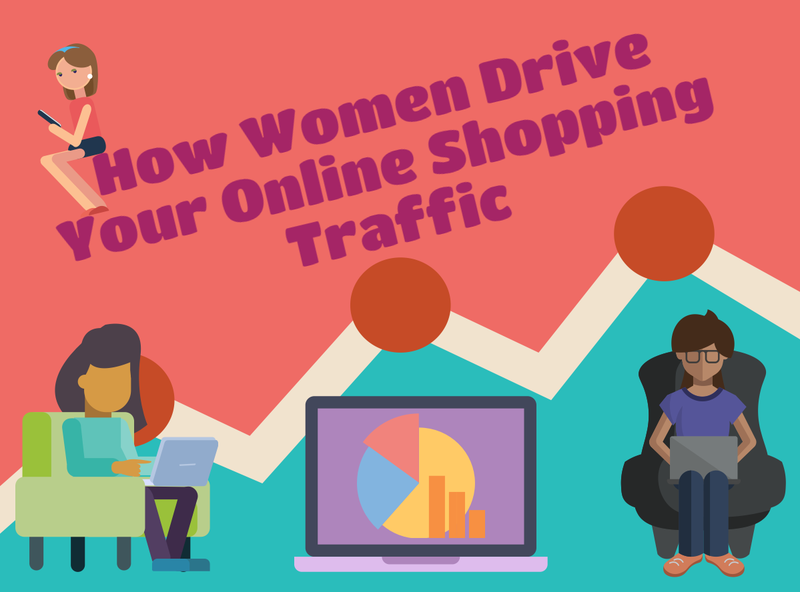 Whether you consider women your product’s target audience or not, employing a strategy that plays to the online shopping habits of women can have a profound impact on your bottom line. By making strategic adjustments to your ad and social media campaigns to encourage women to find your products regardless of industry, the results may surprising results for you. For inquiries on marketing strategies for your e-commerce business, contact Business Tech Pro at (800) 318-1439 or support@businesstechpro.com.